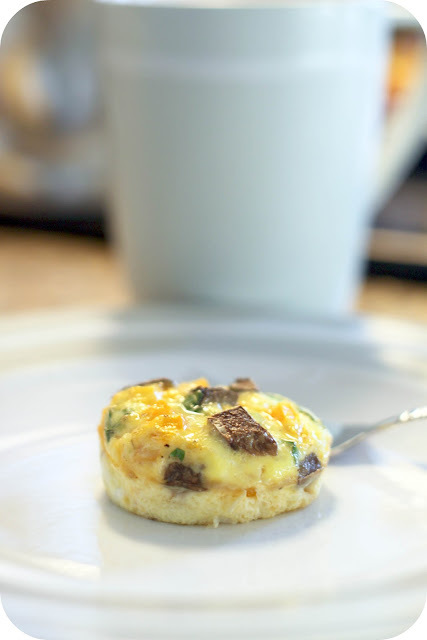 I Love You More Than Carrots: Delicious Muffin-Tin Breakfast Frittatas! 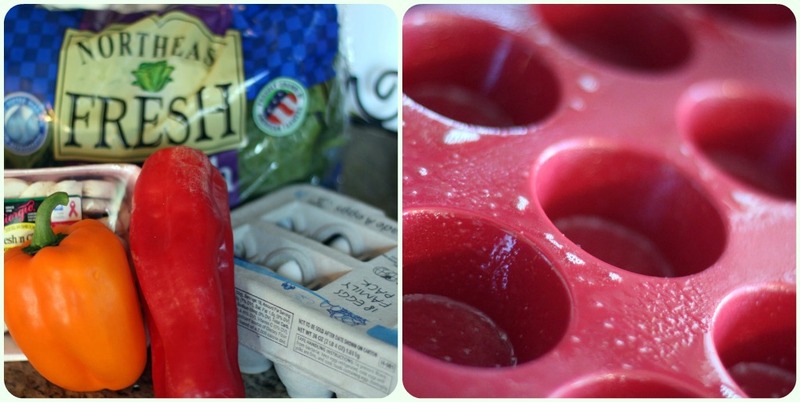 One of my "October Goals," if you will, is to make breakfast a bigger deal in our house. Most mornings it goes unnoticed and quickly dissipates into a mid-morning snack followed by lunch. My daily breakfast? Typically consists of a large mug of creamer with a little splash of coffee. I know, not ideal. But so necessary. I thought to myself, "not only do those look delicious but they look super easy to do and would be a GREAT springboard for making breakfast A Bigger Deal." Without having to make a run to the grocer, I scrounged around in the fridge and pulled together the ingredients I would need to recreate this easy and fun breakfast dish! your "fixin's:" I chose to use orange pepper, spinach and mushroom. sausage, cubed ham or even chopped bacon would have been divine and will certainly be a welcome addition the next time this makes an appearance in the M kitchen! 2. 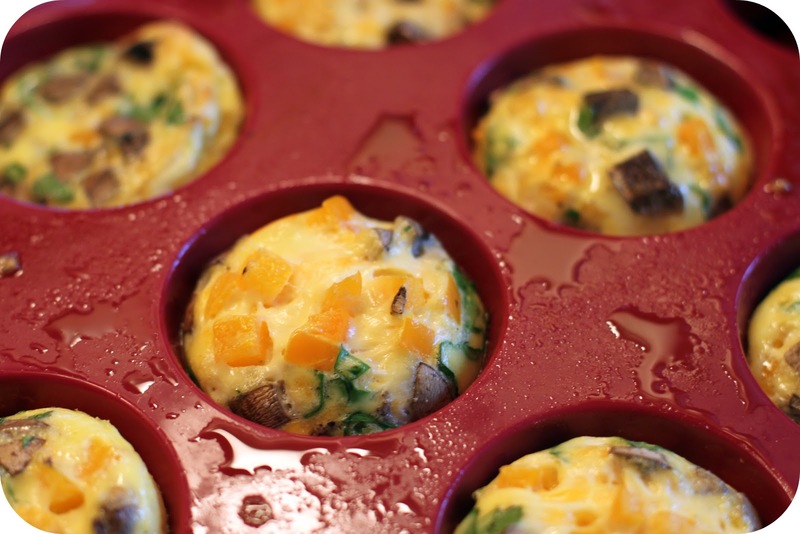 Grease the individual cups of your muffin tray while chopping your "fixin's"
3. Beat eggs in small mixing bowl and add cream. Sprinkle with salt and pepper and mix well. 4. Pour egg and cream mixture into muffin cups. Fill about 1/2 way. 5. 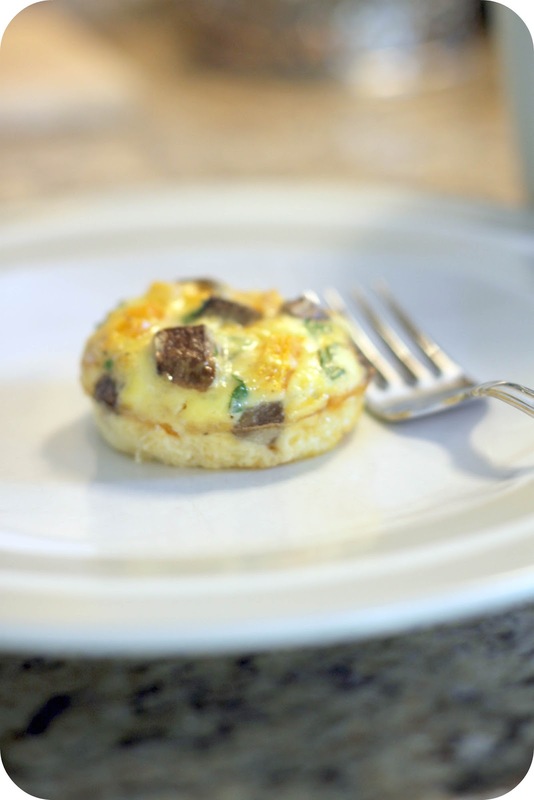 Sprinkle desired amount of cheese in each cup and begin adding your "fixin's!" 6. Bake at 350* for 25-30 minutes. You may need to go around the edges with a butter knife to release from cups when finished! Don't forget to enter my Erin Condren giveaway! Erin Condren is also being featured on OneKingsLane today. You know, that super amazing discount deal website? Click for a referral code if you need one! You won't want to miss out! These are bites of perfection!!! 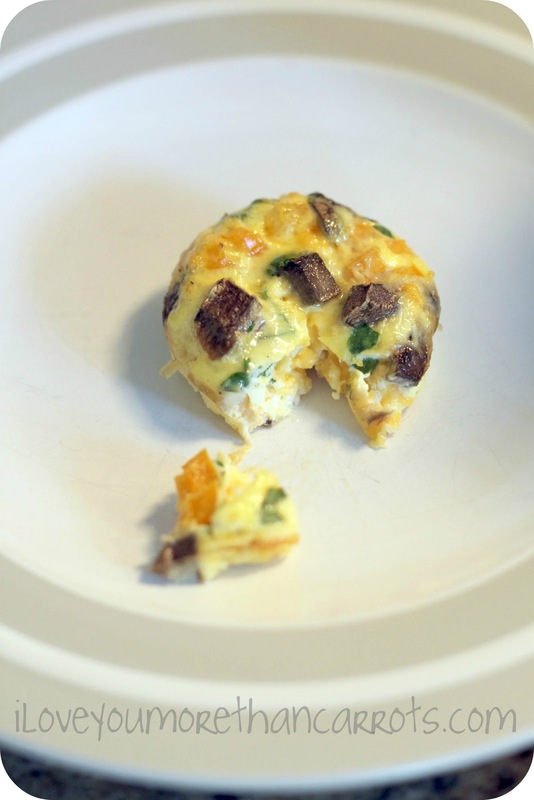 Aaaaand we're making these for breakfast tomorrow. I don't care that it's going to be a Wednesday. It's happening. Actually, question: How many frittatas did this yield? There's only two of us so I don't need a whole lot. The 5 eggs in the ingredients list made me think it makes about a dozen? ;) Do they keep well? I'm not usually into the recipes people post, but this one is awesome. Thanks for sharing! I had a similar recipe on my blog recently for something like this! Love these because you can individually wrap them and eat them throughout the week! This looks delish! I think I'll make them Sunday morning! Thanks for the recipe! I need to make these! I made some similar last month but they ended up a little funny ;) I was also thinking about how they would freeze?? Wouldn't it be great to make a big batch and then be able to take a few out different mornings when you don't have much time?! Yummy! Four Years In Numbers And Pictures. The Day I Loved Having Little Hands In My Lunch. Parenting and Hangovers Do Not Mix. Because When I Shared My Story? You Did, Too. A Plan For Those Saved Up Wine & Champy Corks! Sometimes I Wish I Had Paparazzi. "Mom, These Sleeves Are KILLING Me!"